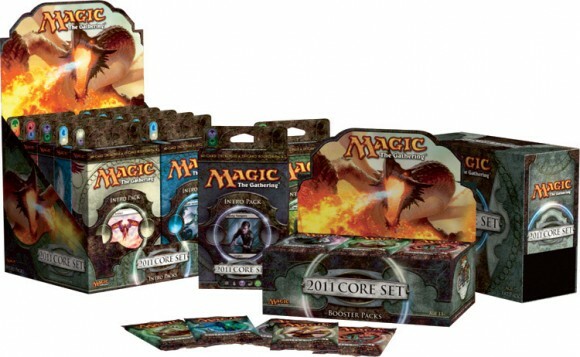 Magic: The Gathering 2012 Core Set features 249 black-bordered cards, including randomly inserted premium versions of all cards in the set. It is available in booster packs, intro packs, and fat packs. The latest two sets that have come out for Magic the Gathering have been aimed firmly at making it easy to get in to (or back into) Magic. As with all of the basic sets that Wizards of the Coast puts out 2012 is a good overview of the mechanics that all Magic players should know. The preconstructed decks they put out with the 2012 set were not only easy to pick up and play but they were a lot of fun. If you and your friends enjoy playing Ascention again and again I would recommend you pick up a starter deck each and give Magic a try. Drafting from the 2012 booster packs is also very fun. For new players it gives you a chance to get a broader view of the cards and mechanics that are at play and it places you on a more even footing with more experienced players. For experienced players 2012 holds some changes that may seem jarring. Some of the familiar cards that have been staples of players’ decks for years are gone but I think this really helps make this set even more new player friendly. With the lack of a few old standbys long term players are left searching each booster just like a new player. If you had been thinking of getting into Magic I would definately say that 2012 is a good set to start with. 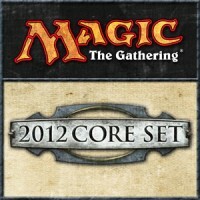 Add a Review for "Magic: The Gathering – 2012 Core Set"